“Form and memory” could be the headline for this sofa. Sean’s rational geometric profile marries beauti-fully with the relaxed softness of the seat to create a balance that makes it an ideal solution for both wait-ing areas and domestic settings. It comes in one- or two-seater or bench versions. 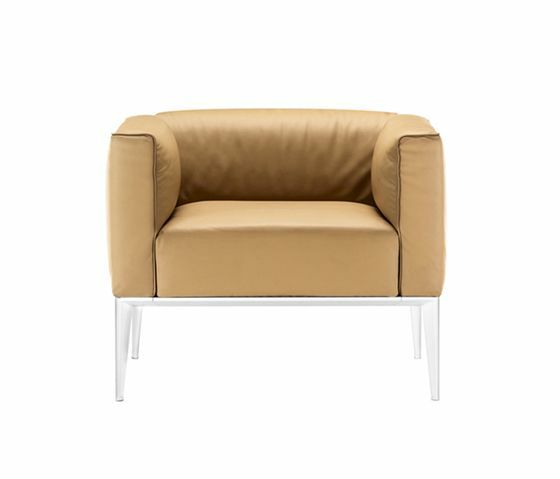 Sean consists of a padded Mdf structure covered in leather, faux leather, fabric or the client’s own fabric, on aluminium legs. It is available as a one- or two-seater or in a bench version with padded covered cushion.